This is a good, simple, inexpensive baseball-style cap. 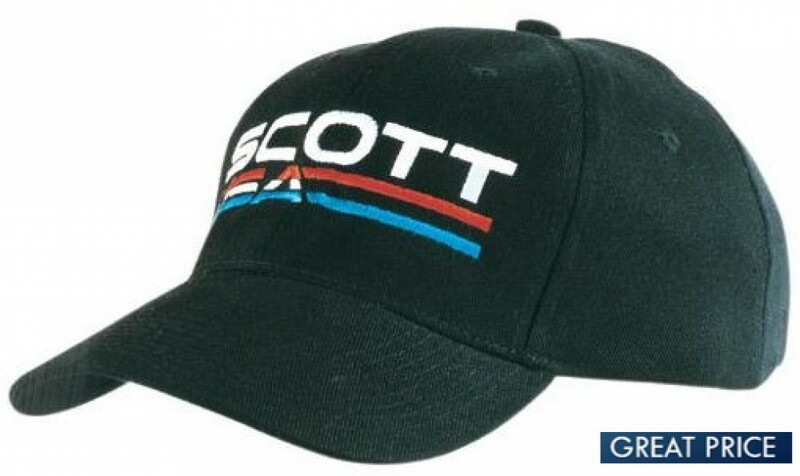 With a classic style, this cap is suited to a range of situations. It features the classic six-panel design and has small ventilation holes at the top of each panel. The bill is a low profile with a pre-formed curved peak. This cap is structured for a more rigid look, meaning that it retains its shape when not being worn. It is designed to fit most adult heads, and comes with a cloth strap for size adjustments. Printed or embroidered with your logo, these simple, classic caps are great as elements of staff, social club, sporting team or school uniform. With a low unit-price, they are great for branded giveaways at conferences or trade shows. They also make great inexpensive branded merchandise for your store or gift shop. All our products come with 8000 stitch-count of embroidery as the standard branding option. Budget branding methods are also available. All artwork in eps, pdf or high-resolution jpeg. Ask about our free digital mock-up service.